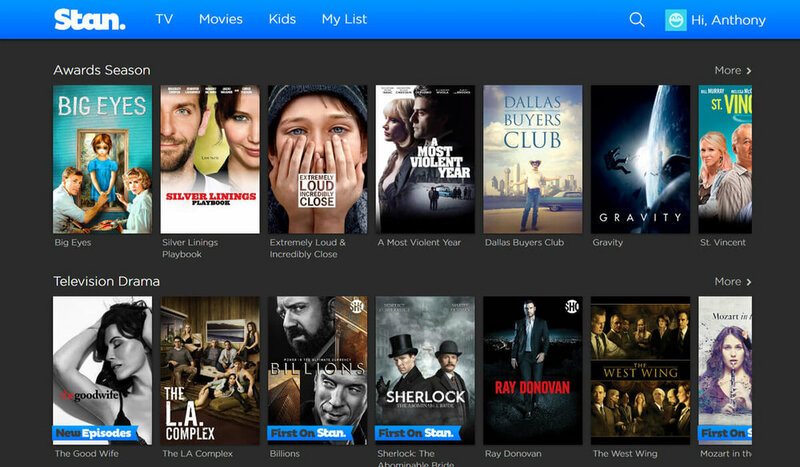 Locally owned Subscription Video On-Demand service STAN has confirmed it will raise its prices for customers next month. From the 1st of March, the cost of STAN's Standard streaming plan is increasing from the current $12 per month to $14. The standard plan is the one selected by the majority of users as it includes access to HD content and simultaneous access on 3 screens. Additionally, the cost of the Premium plan which includes access to 4K Ultra HD content and simultaneous access on 5 screens is increasing from $15 to $17 per month. The cost of STAN's Basic package is remaining at $10 per month. The basic package is promoted heavily in STAN’s advertising; however, it does not include HD, and can only be accessed on one device at a time. The price changes are due to increases in content supply agreements, and the current exchange rate between Australia and US. In December, STAN announced a new partnership with DISNEY that dramatically increased the local services library. The SMH recently reported this deal is only for one year, with DISNEY expected to launch its own streaming service DISNEY+ in Australia in 2020. It's worth noting STAN and SMH are now both owned by NINE. The STAN increase comes after streaming giant NETFLIX recently introduced a price rise in the US, however so far Australian pricing has remained unaffected. The Australian streaming market is becoming increasing crowded, KAYO and 10 ALL ACCESS have recently launched. The AMAZON PRIME library is growing fast. While FOXTEL is rumoured to be launching a new dedicated drama streaming service later this year. Co-Creator and Editor of the TV Blackbox website, Kevin Perry is an experienced media commentator focused on TV Production, Consumer Tech, SVOD & Sports Broadcasting.